The highest bidder will win a unique fashion! 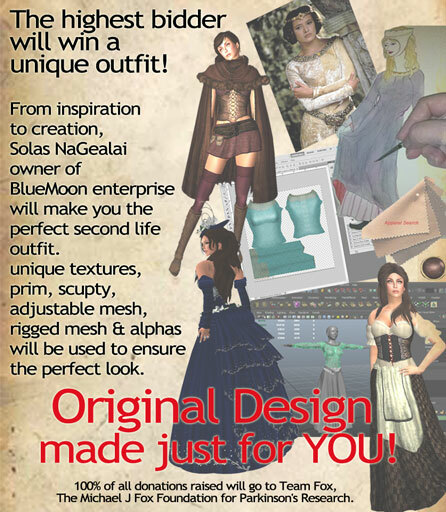 From inspiration to creation, Me, Solas NaGealai owner of BlueMoon enterprise will make you the perfect second life garment. 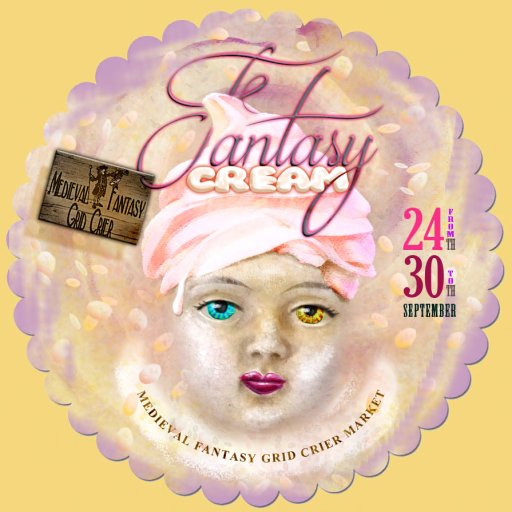 For those in Second life come help us celebrate Michael J. Fox is returning to television. Michael’s return to television is a historic moment for optimists everywhere — a reminder of what we can achieve when we focus on the positive and think/able. This fall is a moment of inspiration, and a time to welcome millions into the fight for a cure to Parkinson’s disease. And it all starts on premiere night. or those in Second life come help us celebrate Michael J. Fox is returning to television. Angel Manor is hosting a VIP premier party at the Rose Theater Ballroom SL on September 26th 3:00 – 6:00. 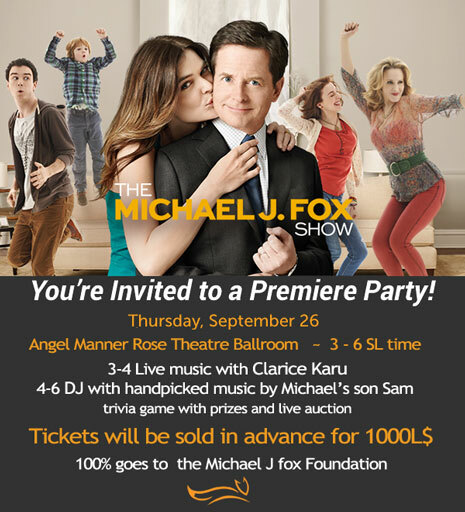 This event is made possible by the Michael J Fox foundation, Creations For Parkinson’s, TeamFox SL and Angel Manor.